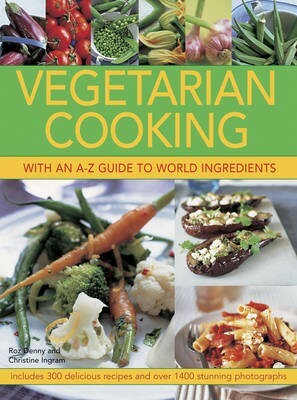 This comprehensive book is an essential sourcebook and inspiration for anyone interested in vegetarian cuisine. The book deals first with every major variety of vegetable, from the familiar to the exotic, providing information on identification, types, seasonal availability, preparation, cooking techniques and nutritional advice. The fabulous recipe collection then features a rich source of dishes from simple snacks to more elaborate dishes from around the world. Along with classics such as Asparagus with Hollandaise, Ratatouille and Stuffed Peppers, you'll find innovative dishes such as Cassava and Vegetable Kebabs, crispy Tempura Vegetables and Yam Fritters.